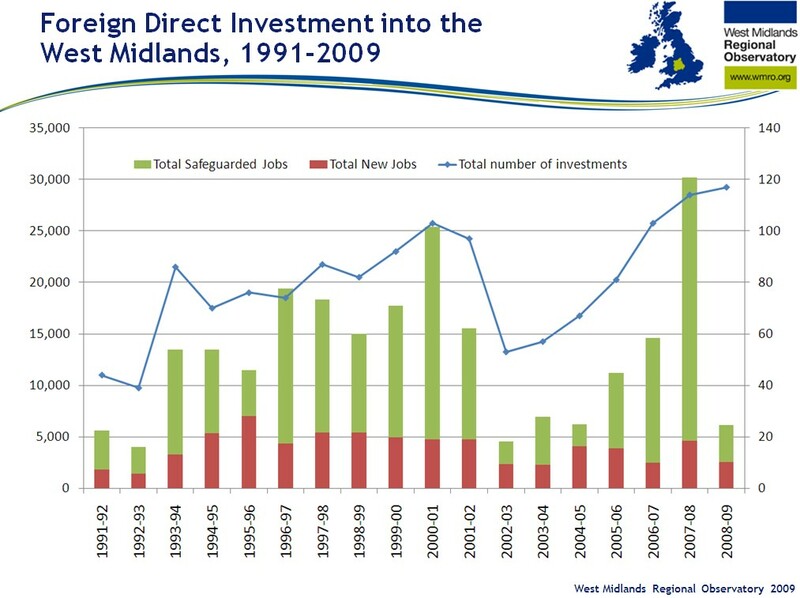 In the period 2008 to 2009 the West Midlands region received 117 foreign direct investment (FDI) projects, a record high since records began in 1991 (shown by the blue line in the graph below). The Herefordshire Information and Research Network are hosting a series of seminars over 2009–2010. Each seminar includes a presentation on a specific topic, updates by participants on their own research activities and opportunities for networking. Seminars planned for later this year include the State of Herefordshire Report 2009 and results of the Herefordshire quality of life survey. The 2007 Regional Gross Disposable Household Income (GDHI) (Word, 411KB) estimates are released today by the Office for National Statistics. 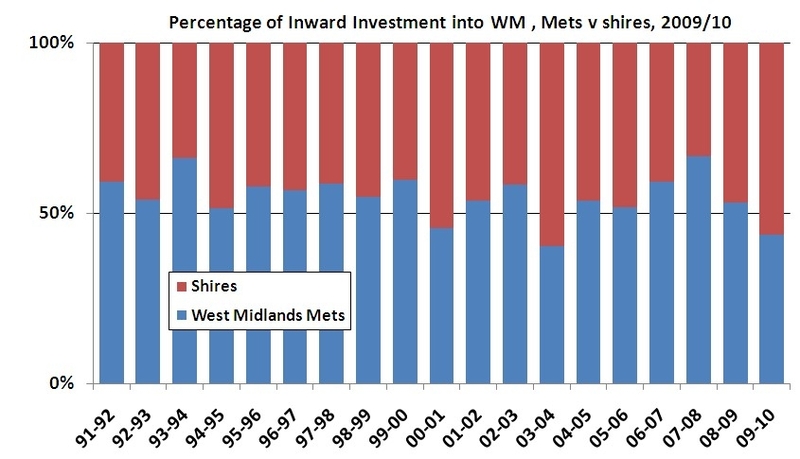 Indexed GDHI per head (where UK=100) for the West Midlands in 2007 was 90, stable in comparison to the revised 2006 index value of 90. GDHI per head in the West Midlands rose from £12,700 in 2006 to £12,900 in 2007, an increase of 1.9%, in line with the increase seen in England and the UK.